Is Japanese knotweed taking over your property? Kent Conservation District can offer you a cost free solution. Treatments are now available for invasive Japanese knotweed through the Michigan Invasive Species Grant Program in 2017-18. Thanks to the West Michigan Conservation Network. If you would like assistance with your Japanese Knotweed please answer the questions below and then e-mail kentstriketeam@gmail.com. 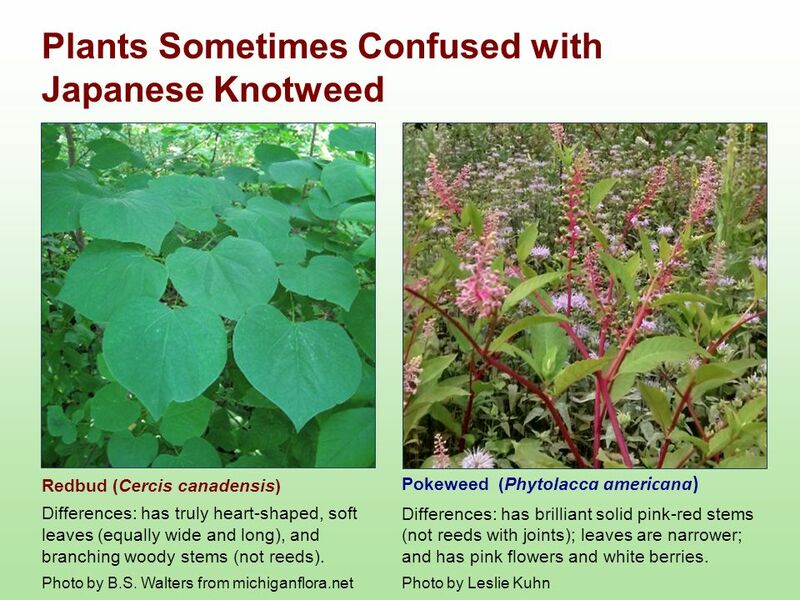 Confirm it is Japanese knotweed (Fallopia japonica, synonym Reynoutria japonica) and not pokeweed. Include the address, size of infestation and the property owner’s legal name as they must sign for the treatment. Let us know when you will be at the property to meet with the strike team, review the site conditions and sign the agreement. We are grateful you want to take action to reduce it’s spread in Kent County.